Magnetic Resonance Imaging (MRI) is the preferred imaging modality for a variety of research studies, including the brain, spine, joints, muscles, liver, biliary system, pancreas, adrenals, and uterus. 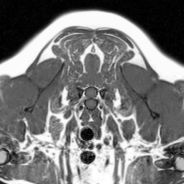 We can mobilize an MRI unit and our technical staff to meet your needs, or studies can be performed at our clinic. Our radiologists use a DICOM image sending and storage platform in order to efficiently receive and interpret images and generate reports. 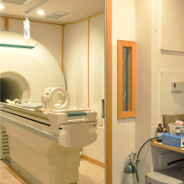 If you are trying to determine if CT or MRI is most appropriate for your needs, just give us a call. One of our veterinary radiologists can answer any questions you may have.